I was pleased to find the full-sized Sichuan preserved vegetable yacai 芽菜 recently at the underground market in Philadelphia’s Chinatown (Asia Supermarket 亞洲超級市場). 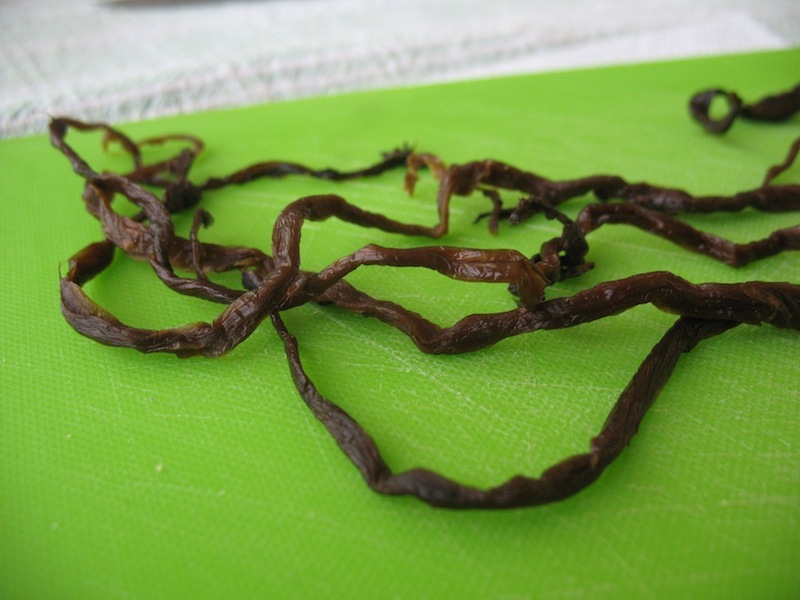 Yacai has long been available in US Asian markets, but I was only aware of the pre-chopped variety, labeled as such, “suimi yacai” 碎米芽菜, usually sold alongside other small packets of specialty pickled vegetables. 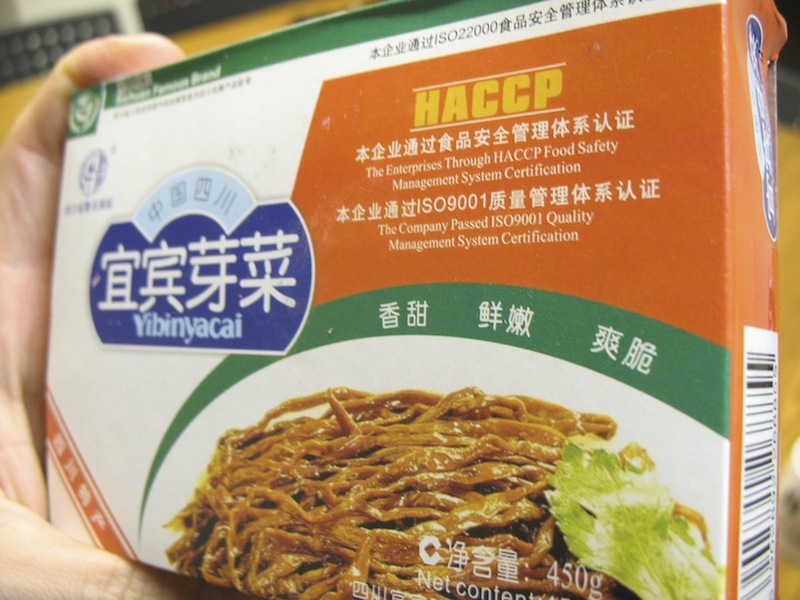 Most of the yacai that I’ve noticed in the States–the box above and also the pre-chopped small packets (image available on Fuchsia Dunlop’s blog from a few years ago), are produce of Sichuan’s Yibin city. What is this fibrous alien-looking vegetable, and why should I eat it? It is a cruncy, sweet, salty, and fragrant pickle. 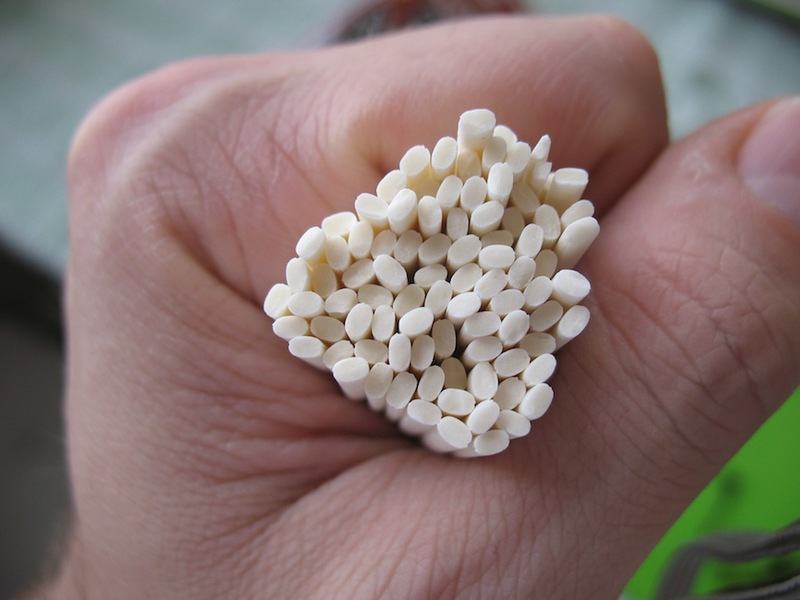 It is supposed to be high in B vitamins, and it is a nice accompaniment to rice porridge. It is also delicious fried with chile and ground meats as exemplified below. 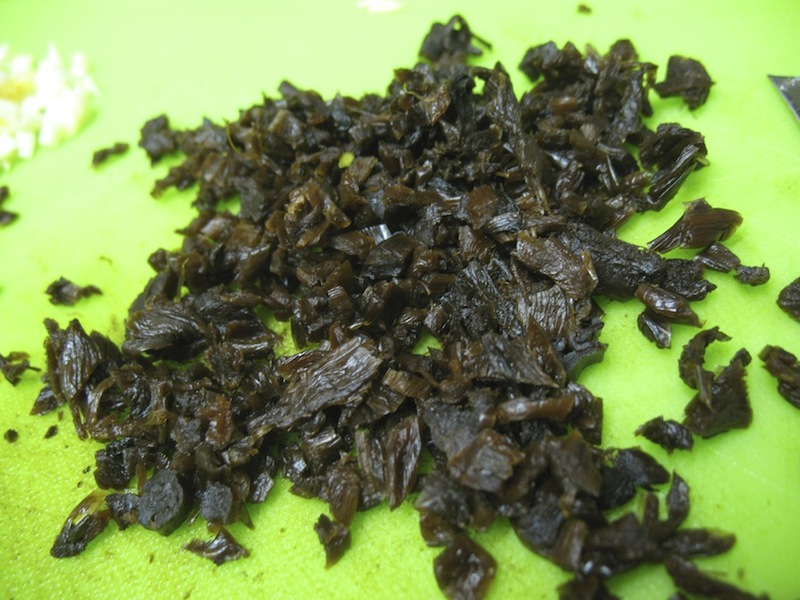 The vegetable is actually a kind of young and tender Chinese mustard green (芥菜 gai choy in Cantonese, or jiecai in Mandarin–something similar to what I used in my recent sour pork rib soup), cut into chopstick-sized thicknesses, and sun dried. Later the vegetable is pressed and cured in earthenware for a year or so with salt and spices (sometimes huajiao and star anise). I was happy to find the whole pickled vegetable, but the small packets are just as usable. Most recipes call for the veg to be chopped anyway. If you are using the full-size vegetable like I have above, feel around for hard or tough stems that you might not want in your dish and cut these out. At the same time, prepare meat topping. This step is almost identical to using yacai in the green bean dish below. Heat some peanut oil in a frying pan or wok and toss in a handful of yacai. If using dried chiles you can also add those. Add in ground meat (no need to use too much, just to add a little flavor). Splash some rice wine to help break up the meat to be small. When the meat is just about cooked through and starting to dry, season with soy sauce. Meat topping done. Stage your noodles dry (without soup or noodle broth) in a bowl, add a little black vinegar and chile oil, top with meat and yacai mixture. Slice some green onions over the top. Yummy. 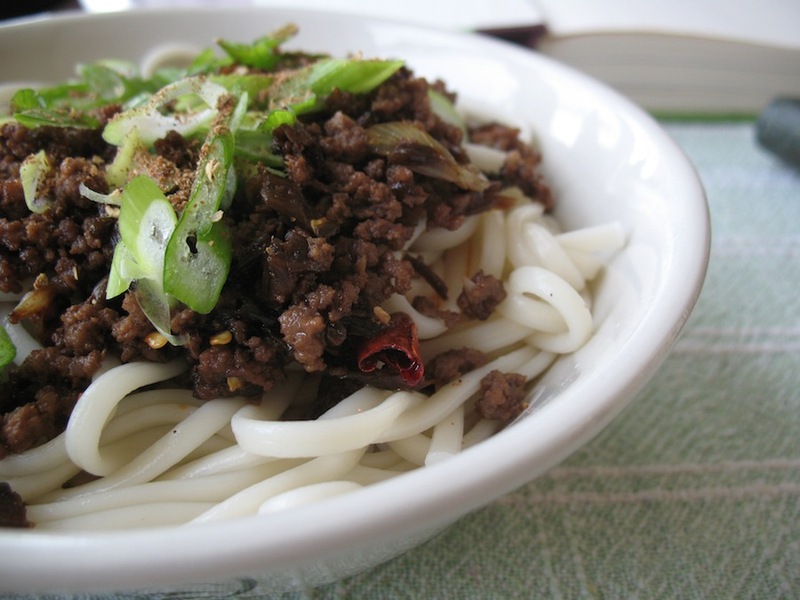 The following dish’s major flavor component is done very similarly to the topping for dandan mian above. 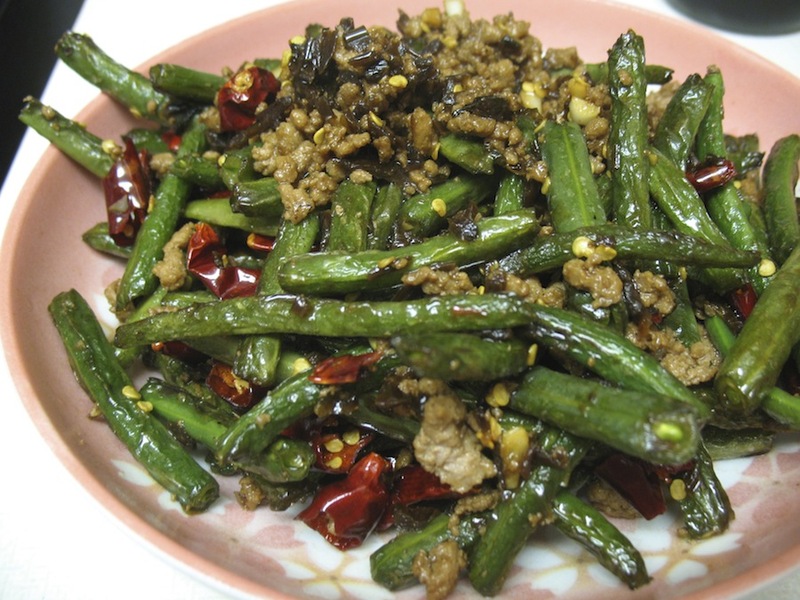 This dish is generally done with long beans in China, but US fresh green beans also work well (I used green beans here). Frying the beans long enough to get them to appear almost grilled is the trick. 1. Cut beans to 2″ lengths. 2. Fry on medium (i.e. not too hot) in a pan or wok with 3-4 tablespoons of oil (or you could deep fry them). Remove beans that are cooking through before the others to a paper towel-covered plate or equivalent (to absorb excess oil). Continue until all beans are cooked to the above likeness and take off heat. 3. 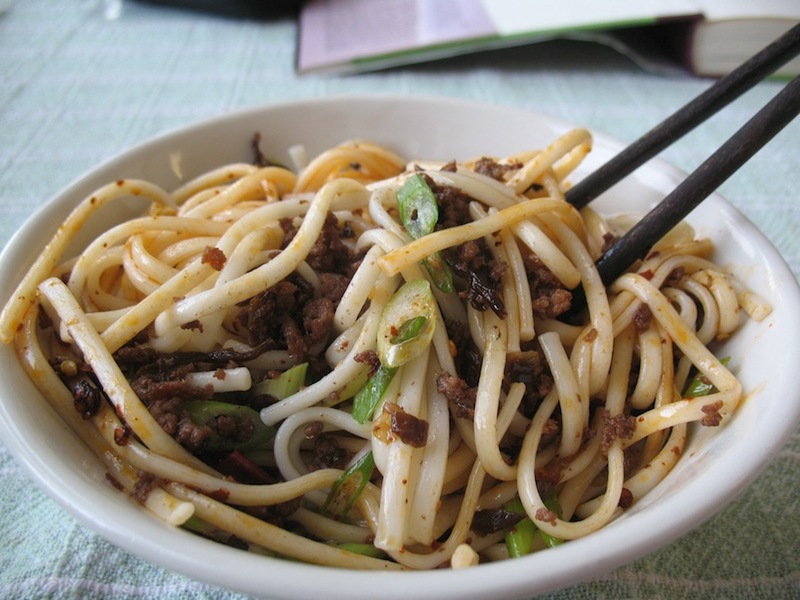 Remove some of the oil from frying pan or wok and fry the yacai and meat topping mentioned above for dandan mian. Before seasoning with soy sauce, return beans to the pan. Adjust for seasoning if necessary. This entry was posted in - Featured Food Discoveries, - Featured Markets, - Recipes, Chinese food and tagged dan dan mian, 芽菜, ganbian siji dou, pickled vegetable, preserved vegetable, Sichuan, yacai, 四川, 宜宾, 干煸四季豆, 担担面. Bookmark the permalink.